At the beginning of another beautiful year, all of us at Alicia Lucia Photography wanted to reintroduce ourselves and let you know just how incredibly excited we are for 2019! Even though our cutie team has changed a little bit in the past 12 months our goal is still (and always will be the same), to capture authentic, wildly romantic love right in the moment. We’re so honored to work with all of the incredible couples and their families who put their complete trust in us for their wedding days and we are beyond excited for all the amazing love stories we’ll be capturing in the new year. Each one of our little girl squad brings something unique and amazingly authentic to the table, making stellar wedding day moments more real than ever. Cheers to all of the crazy, gorgeous, sweep you-off-your-feet moments to come! Our sweet little founder and lead photographer Alicia is the mastermind behind our magical dream team. She’s been capturing organic, breathtaking moments of true love at weddings, engagements, and family sessions. 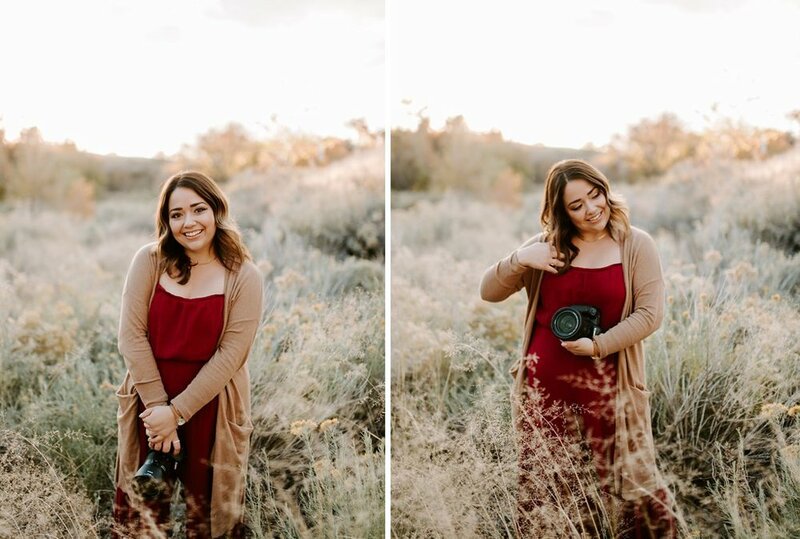 Alicia also adores shooting styled sessions with some of our fave girl bosses her in the New Mexico wedding community. When she’s not behind the camera or at her computer dazzling us with her gorgeous editing, you can find her snuggling with her husband and two kids, being crafty with some of the most swoon worthy home projects, or adventuring out into our amazing Southwestern state! As Alicia’s right hand photog girl since 2013, Ashley knows how to capture love stories with a whimsical, carefree, and genuine air! She has an eye for detail and posing that absolutely stuns our couples with her awe-inspiring work. Ashley’s sweet smile and incredible work ethic make her such a gem to collaborate with on those long wedding days! Outside of weddings and engagements, Ashley spends her days busy raising four kiddos with her amazing college sweetheart! Alicia’s longtime friend and studiomate Bre officially joined our squad in 2018, proving that she not only can do incredible job as a second shooter, but knows how to step up as a total boss lady in the role of lead photographer on wedding days! With 8 years of photography experience, Bre not only knows how to capture the authentic moments we so adore, but she knows how to make wedding days incredibly fun! From endless laughs on long days to capturing details perfectly to keeping groomsmen in check (the hardest task of all tbh) this girl knows how to make long shooting days a breeze! When she’s not shooting with the ALP squad, Bre’s passion is capturing newborns and maternity sessions with her own photography company Blooming Images. Bre also loves hanging with her sweet hubby and two girls! One of the latest additions to the ALP squad, Jaclyn joined our team in January 2018 as social media manager! In addition to running our Instagram, Facebook, and Pinterest alongside Alicia, Jaclyn also creates and curates for our blog, everything from our wedding and engagement blogs to more editorial and trend driven blogs (from groom style features to our favorite wedding cakes). Last summer, this girl also started assisting on weddings with our team and is another fun little aspect of our wedding days and shoots. From capturing behind the scenes moments for ig to handling equipment to running errands around venues to (occasionally) valeting a car or two she’s a real life “Jac” of all trades. Jaclyn also dances professionally in the Albuquerque area. She is so excited to stay with ALP for 2019 and can’t wait for more magic! A big thank you to our girl Brittney of Brittney Mundy Photography for these lovely photos!! I love them so much!